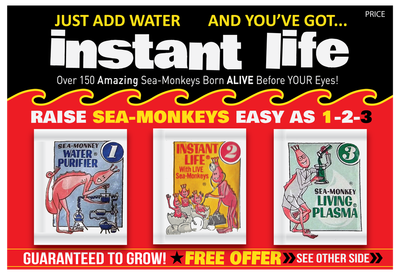 Facebook's "Sea-Monkey Clubhouse" is a social media group for Sea-Monkey enthusiasts. Utilizing preexisting, classic artwork I created promotions as well as a fanclub card for the group. 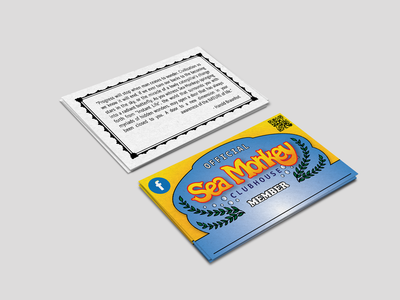 With the permission of Transcience Corporation, creator of Sea-Monkeys, I also created a papercraft model of a classic Sea-Monkey Kit.